9 Link Year Prep (MO) 19-2 6-0 in January, beat Southwestern IL CC via post-game forfeit. Back-to-back wins over JuCos. 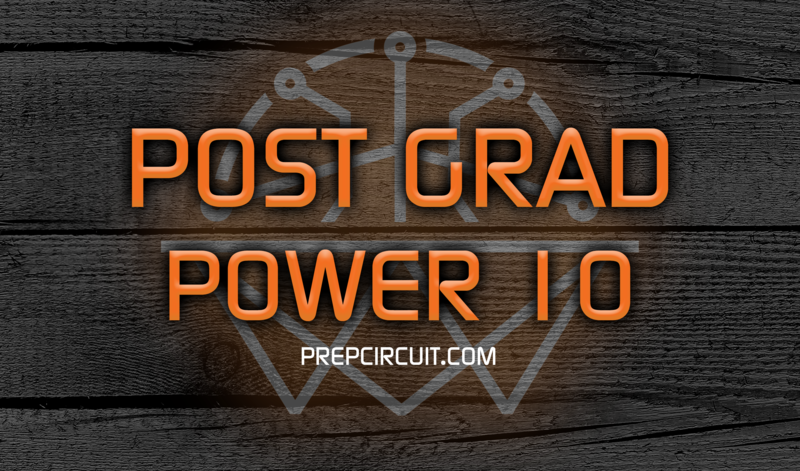 The National Prep School Invitational is less than a week away, and that means an update to our Post Grad Power 10. Only one new team enters the rankings after a competitive January slate of games, as Massanutten Military Academy enters at No. 8 after a 7-1 start to the new year. Massanutten took out Hargrave Military Academy 108-100, giving the Colonels a huge signature win. No. 2 Scotland Campus Sports Red (23-0) swaps spots with Woodstock Academy (26-1) after the Centaurs suffered their first loss of the season, a two-point setback to No. 5 Brewster Academy. Mt. Zion Prep makes the biggest jump in the new set of rankings, moving from No. 9 to No. 7. Scroll down to check out the new rankings, and check back in February as we update the poll before the NEPSAC conference tournaments and National Prep School Championship.